The Centre supports and enriches undergraduate study of Dante, both within Leeds and nationally. Leeds students are able to benefit from the research programme in Dante studies, and are given support in doing so through the Faculty of Arts Students as Scholars programme, which was developed by colleagues in Italian. The Centre organises annual study days, which are open to students from any UK university, on a topic related to Dante. We also run a study day in Cork, for students across the Republic of Ireland, in collaboration with University College Cork. For more information, see our study days page. The Leeds Centre for Dante Studies Essay Prize is awarded annually for the best essays by final-year and second-year students. The prize is open to undergraduates at any UK university, and is judged by a panel of academics drawn from across the UK and internationally. For more information, see our Essay Prize page. In collaboration with Abigail Brundin (University of Cambridge), the Centre ran two national workshops on teaching medieval and early-modern culture in modern languages courses in 2008. The Leeds Centre for Dante Studies offers a dynamic and supportive environment for postgraduate students working on Dante. Postgraduate students focusing on Dante will join the team of dynamic and successful researchers in Italian within the School of Languages, Cultures and Societies. Italian at Leeds was ranked second in the league table of all UK Italian departments by the Guardian, following the 2008 Research Assessment Exercise. Postgraduates take part in the full range of research activities run by the Centre, by the Italian subject area, and by the School of Languages, Cultures and Societies. They also benefit from the outstanding collections held in the University of Leeds Brotherton Library. Postgraduates working on medieval Italian topics form part of the communities provided by the UK Network for the Study of Medieval Italian Culture, which was established within Italian at Leeds, the Institute for Medieval Studies at the University of Leeds, and the Faculty of Arts Graduate School which provides facilities, training and support for Arts postgraduate students. 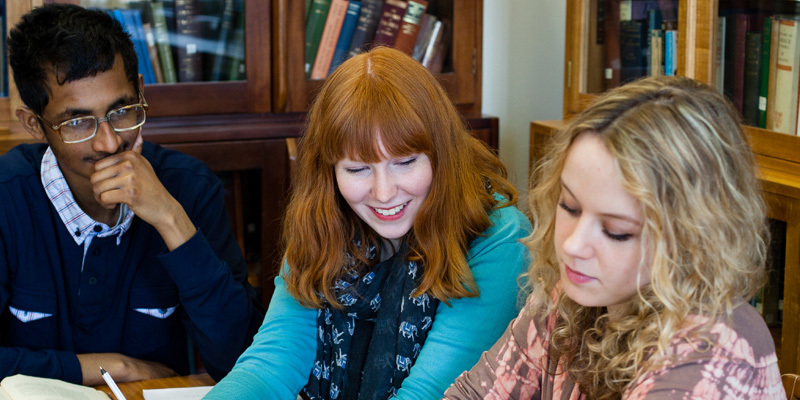 The Centre provides an excellent base for students working on research MAs on Dante. Students taking the MA by Research prepare a 30,000-word dissertation, over the course of one year (or two years, if studying part-time). From September 2011 the work of the Leeds Centre for Dante Studies will be supported by a Graduate Research Assistant, who will carry out work for the Centre while working on a PhD in Italian. We would like to congratulate Sarah Todd on her appointment to this post. Applications for studentships and bursaries can be made to the University of Leeds.